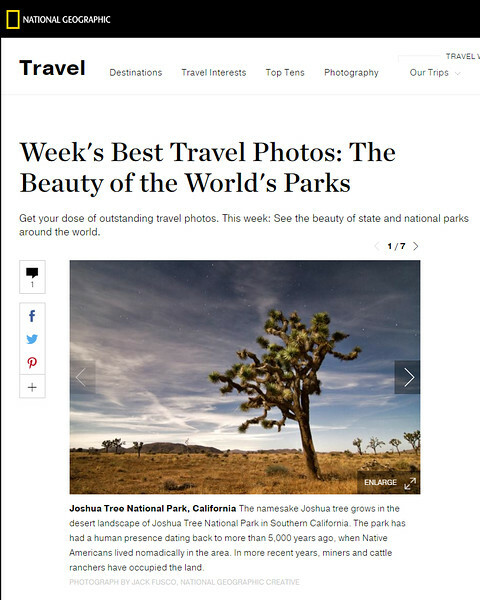 I'm incredibly honored and excited to have my Moonlit photo from Joshua Tree National Park featured as the lead image in the National Geographic Week's Best Travel Photos. I took this photo on my first trip to Joshua Tree after spending the entire night searching for a lone standing tree. I haven't had much time to explore JTNP, but I certainly hope to head back soon.